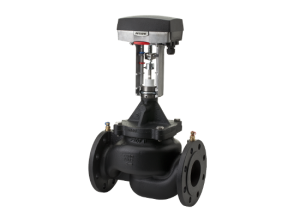 Frese Optima Compact DN50 – DN150 | Pak Plant Ltd.
Frese OPTIMA Compact pressure independent balancing & control valve (PIBCV) is used in heating and cooling systems in applications with Air Handling Units, Heat Exhangers or Mixing Circuits. The OPTIMA Compact provides modulating control with full authority regardless of any fluctuations in the differential pressure of the system. 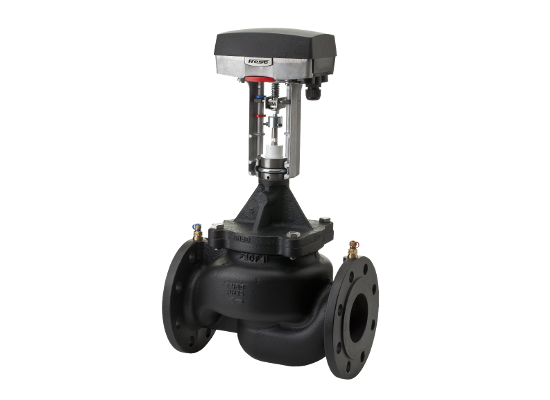 The Valve combines an externally adjustable automatic balancing valve, a differential pressure control valve and a full authority modulating control valve. Frese OPTIMA Compact makes it simple to achieve 100% control of the water flow in the building, while creating high comfort and energy savings at the same time. An additional benefit is that no balancing is required if further stages are added to the system, or if the dimensioned capacity is changed. Energy saving due to optimal control, lower flow and pump pressure. Maximized ∆T due to faster response and increased system stability.